Callbreak is a trick-taking card game played with a standard 52-card deck between four players. Callbreak Multiplayer is very popular in Nepal and some places in India. In India, Callbreak Multiplayer is also known as Lakdi/Lakadi. Callbreak Multiplayer is developed by Tesla Tech. 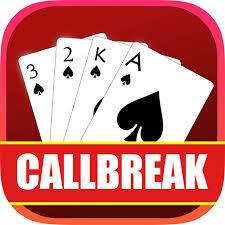 Callbreak Multiplayer is one of the best card games of tricks, trumps and bidding available on Android mobile devices. Callbreak Multiplayer game can be played on two modes online and offline mode. Download free Callbreak Multiplayer mod apk here. we provide you trusted source here to download safe mod apk Callbreak multiplayer. Download mod apk latest version and enjoy the game. Callbreak Multiplayer is a strategic trick-taking card game and the main objective of the game is to take exactly the number of trick bids and complete the bid taken to gain points and win the game. The Callbreak Multiplayer game consists of total 5 rounds. Deals are made counter-clockwise. If a player is able to complete the number of bids then that number is added to the main score. If a player is not able to complete his taken bid then the number is subtracted from the main score. When the five rounds are completed, a player with a higher total from the score wins the game. Callbreak Multiplayer is a very simple and easy to understand card game that comes with some simple rules and things to keep in mind while playing the game. In Callbreak Multiplayer card game, only Spades are the trump cards. Deal: In every round, the dealership is passed to the next player. A dealer starts the deal from their right and distributes the cards to each player so that there are 13 cards per each player. Bidding: After the cards are distributed, players start to bid the number of tricks that they can make to win the round. Every player tries to get a positive score by completing their bid. The first player starts the game by throwing any card. Then, every player must play the same suit if he/she has it or else he/she can play a trump or any other card. The player who wins that hand will get the chance to throw the card. While playing this tricky game, every player must try to make the number of hands that they have bid at the start of the game. Players must play by some strategy and try to make their higher cards first. A player that makes as many hands that he/she bids then the score is positive. If a player is not able to get the stated bid, the score will be deducted or subtracted equally to the stated bid. After 5 rounds are completed, total scores are summed up to determine the winning player of the card game. Callbreak Multiplayer has some features to keep the game fun and interesting to play. Callbreak game has improved the AI for a single player mode. It has a drag interface to play a card. You can play online with random players. You can also join your facebook friends to play and enjoy the card game. Callbreak Multiplayer is a free addictive and time pass game that you can play on your Android mobile devices. Find out how good you are when playing bidding games. Download the Callbreak Multiplayer app from Google Play Stores Now! Thanks for showing the valuable, healthy, revealing and also easy tips on this topic to Julie.